Uniondale, NY, August 22, 2018 – Partner Robert B. Moy presented on business and estate planning to the Business Networking International (BNI) group – NYC Chapter. 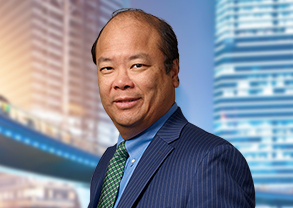 Robert B. Moy is a graduate of St. John’s University School of Law and is a partner in the Tax, Trusts and Estate and Corporate departments of the Firm. Prior to joining the Firm, he was a founding member of Bennett & Moy, LLP, where he practiced in the areas of corporate law, asset and estate planning, and real estate. Mr. Moy counseled his clients on various matters from mergers and acquisitions to establishing new businesses, negotiated and drafted shareholder, operating, financing, employment, merger, acquisition, licensing and buy-sell agreements, represented clients in the purchase and sale of real estate, and drafted complex and simple trusts and wills.